15 Years ago we started of as a 4x4 driver, recovery and navigation training facility. Today that is still one of our trademark products, because of the wealth of knowledge of our two highly experienced Instructors. We are the official 4x4 trainer for Daimler Chrysler in the Free State and Northern Cape, but are open to all brands of 4x4's, because we still believe that the best 4x4 is the one with the most ecperienced driver behind the controls. 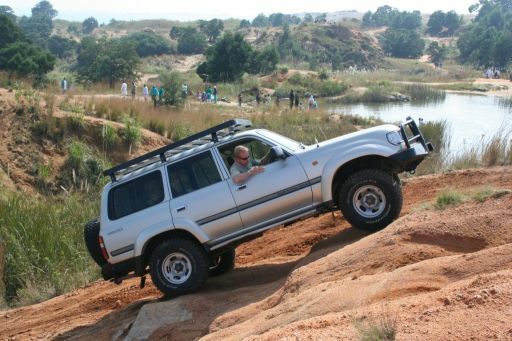 In association with African Offroad Academy, we provide accredited 4x4 driver training, under the 2 newly registered unit standards for 4x4 training with Theta. Our Training facility, next to the Krugersdrift Dam, 30 km west of Bloemfontein, was rated the best natural terrain 4x4 training facility in South Africa.